This weekend, be sure to tune in to C-SPAN2 Book TV to watch two University of Texas at Austin professors discuss their books. 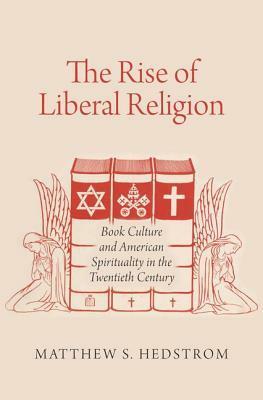 American Studies Professor Julia Mickenberg will discuss her book “Tales for Little Rebels” on Sunday, Nov. 13 at 12:45 p.m., and on Monday, Nov. 14 at 12:45 p.m.
Synopsis: Rather than teaching children to obey authority, to conform, or to seek redemption through prayer, 20th century leftists encouraged children to question the authority of those in power. 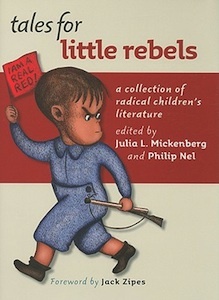 “Tales for Little Rebels” collects 43 mostly out-of-print stories, poems, comic strips, primers, and other texts for children that embody this radical tradition. These pieces reflect the concerns of 20th century leftist movements, like peace, civil rights, gender equality, environmental responsibility, and the dignity of labor. They also address the means of achieving these ideals, including taking collective action, developing critical thinking skills, and harnessing the liberating power of the imagination. 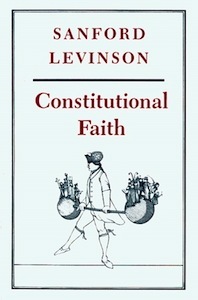 Sanford Levinson, professor of law, will discuss his book “Constitutional Faith” on Sunday, Nov. 18 at noon and 7:15 p.m., and on Monday, Nov. 19 at 12 p.m.
Synopsis: In this intriguing book, Levinson examines the history and the substance of our ‘civil religion’ of the Constitution. Echoes of this tradition are still heard in debates over whether the constitutional holy writ includes custom, secondary texts and history or is restricted to scriptural fundamentalism. Of equal age and intensity is the battle over the proper role of the priests. Is the Constitution what the Justices say it is or does it have a life of its own? · Steven Weinberg, professor in the departments of physics and astronomy, will discuss “Lake Views” on Sunday, Nov. 20 at 10 a.m. and 6 p.m., and on Nov. 21 at 12 p.m.
· Lewis Gould, professor emeritus of history, will discuss “My Dearest Nellie” and “Theodore Roosevelt” on Sunday, Nov. 20 at 10:30 a.m., and on Nov. 21 at 12:30 p.m.
· Robert Auerbach, professor of public affairs, will discuss “Deception and Abuse at the Fed” on Nov. 20 at 10:40 a.m., and on Nov. 21 at 12:40 p.m.
A C-SPAN film crew interviewed the faculty members in the university’s Main Building on Oct. 24 following a weekend of covering the annual Texas Book Festival in Austin. Broadcast dates and times for the other faculty members interviewed for the C-SPAN2 Book TV program will be announced later. 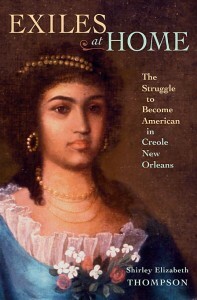 Historian Neil Foley’s book, “Quest for Equality: The Failed Promise of Black-Brown Solidarity” (Harvard University Press, May 2010) was selected by the Texas Institute of Letters as the most significant scholarly book for 2010. “Quest for Equality” examines the complicated relationship between African Americans and Mexican Americans in Texas and California during World War II and the post-war era. 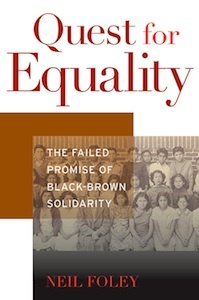 Named by the Huffington Post as one of the 17 “best political and social awareness books of 2010, “Quest for Equality” provides a historical context for understanding many of the issues that divide Latinos and African Americans today. In 2003, the census announced that Hispanics had become the nation’s largest minority group, while the percentage of African Americans had declined in many cities. This includes seven of the 10 largest cities in the United States — New York, Los Angeles, Houston, San Diego, Phoenix, Dallas and San Antonio. As a result, the book addresses: Will Latinos displace African Americans from positions of power locally? And what are the prospects for black-brown coalition politics when more than half of all Hispanics identify themselves as “white” in the 2010 census? 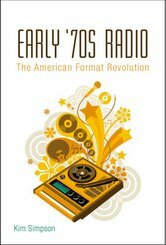 Today African Americans and Latinos have found common ground over issues such as de facto school segregation, unequal school financing, immigration reform, racial profiling, redlining, and the prison-industrial complex — challenges, Foley argues that remain central concerns of contemporary American life. Foley is an associate professor in the Department of History and American Studies. 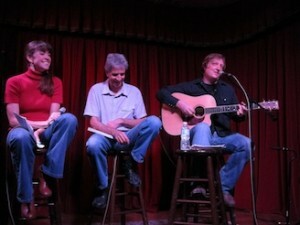 He was honored at the Texas Institute of Letters’ annual awards banquet in Dallas on April 30. The Texas Institute of Letters was established in 1936 during the Texas Centennial Exposition in Dallas to foster and promote Texas literature. The state’s oldest literary organization, it has held competitions for outstanding achievements in literature since 1939. Despite the hyper-visibility of Latinos and Latin American immigrants in recent political debates and popular culture, the daily lives of America’s new “majority minority” remain largely invisible and mischaracterized. Editors Frank Guridy (University of Texas at Austin), Gina Pérez (Oberlin College) and Adrian Burgos, Jr. (University of Illinois at Urbana-Champaign) assemble a collection of essays in “Beyond El Barrio” (NYU Press, Oct. 2010) — that together, provide analyses that not only defy stubborn stereotypes, but also present novel narratives of Latina/o communities. The book has a lot of University of Texas at Austin ties. Four of its 10 scholars who contributed essays are from the university and the cover art is inspired by Rhthmo del Pueblo, a print in the Serie line run by the university’s Center for Mexican American Studies. The Center for Mexican American Studies, and the Departments of American Studies and History will host a symposium and book signing for “Beyond El Barrio: Everyday Life in Latina/o America.” The panel will include contributors Gina Pérez (Oberlin College), Frank Guridy, Cary Cordova and John Mckiernan-González (University of Texas at Austin). Contributor Deborah Paredez (University of Texas at Austin) will moderate. The event will be from 6 to 8 p.m., Tuesday, November 16, at the San Jacinto Conference Center, Room 207 AB, located on the first floor of the San Jacinto Residence Hall (SJH), at the corner of 21st Street and San Jacinto Boulevard. Entrances can be found on 21st Street and facing the Brazos Parking Garage. Public parking is available in the Brazos Parking Garage (BRG), 210 East Martin Luther King, Jr. Blvd. The winners of this year’s University Co-op Robert W. Hamilton Book Awards were announced on Wednesday, October 20, at the Four Seasons Hotel in Austin. The Hamilton Award is one of the highest honors of literary achievement given to published authors at the University of Texas at Austin. Chairman of the University Co-operative Society, Dr. Michael H. Granof hosted the event and announced the winners. President Bill Powers of The University of Texas at Austin presented the awards. The Hamilton Awards are named in honor of Professor Robert W. Hamilton, the Minerva House Drysdale Regent Chair-Emeritus in Law. Hamilton was chair of the Co-op Board from 1989 to 2001, and was in large measure responsible for the Co-op’s uncommon growth and profitability during that period. Historian William H. Goetzmann, professor emeritus of history and American studies, died Sept. 7 at age 79. 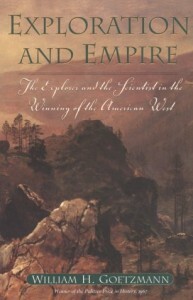 A specialist in the American West, Goetzmann won both the Pulitzer and Parkman prizes in 1967 for his seminal book “Exploration and Empire: The Explorer and the Scientist in the Winning of the American West.” He later authored with son William N. Goetzmann “The West of the Imagination,” which became a PBS series in 1985. His most recent book “Beyond the Revolution: A History of American Thought from Paine to Pragmatism,” focuses on American intellectual, political and literary history from the United States’ birth to the end of the 19th century. Goetzmann chaired the History Department from 1968 to 1969, directed the American studies program from 1964 to 1980 and retired in 2005 as the Jack S. Blanton Chair in American Studies and History. A native of St. Paul, Minn., Goetzmann earned his bachelor’s degree and doctorate from Yale University, where he met Tom Wolfe, who presented the Texas Book Festival’s lifetime achievement award, the Bookend Award, to Goetzmann in 2001. A memorial service will be held 2 p.m. Sunday, Sept. 12 at St. Austin’s Catholic Church, 2026 Guadalupe Street in Austin. Visit the Department of American Studies website or the Department of History website for more information about Dr. Goetzmann. For many carnivorous Texas Longhorn fans, celebrating a big win just wouldn’t be complete without a mouthwatering cascade of brisket, sausage and ribs. Recognizing just how important barbecue is to football culture, the presidents of The University of Texas at Austin and The University of Alabama have wagered it on the outcome of the national title football game on Thursday, Jan. 7. University of Texas at Austin President William Powers Jr. will ship barbecue from Iron Works Barbecue in Austin to Alabama President Robert E. Witt should the Longhorns lose. Witt will send barbecue from Tuscaloosa, Ala.’s Dreamland to Powers should the Crimson Tide lose. Much like football, barbecue in Texas has become a source of regional pride. 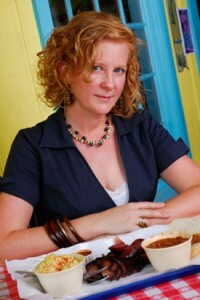 In “Republic of Barbecue: Stories Beyond the Brisket” (University of Texas Press, 2009), Elizabeth Engelhardt, associate professor of American studies, and 11 of her graduate students took a culinary tour across central Texas to explore how barbecue evolved into not just a hot meal, but a way of life. On a quest to hear the stories of Texas’ uniquely smoky heritage, the team of authors set out to collect, document and preserve oral histories from the people who make barbecue happen in popular chain restaurants, legendary mainstays like Lockhart’s Kreuz Market and Driftwood’s Salt Lick, small mom-and-pops, and many other venues. Exploring the people and places of Texas’ barbecue nation, the authors documented a vast array of themes, including manliness and meat, new technology, civil rights, small-town Texas identity and intrinsically Texan drinks such as Big Red, Dr Pepper, Shiner Bock and Lone Star beer. 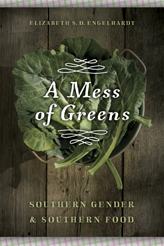 Visit the Life & Letters Web site to read more about the book.